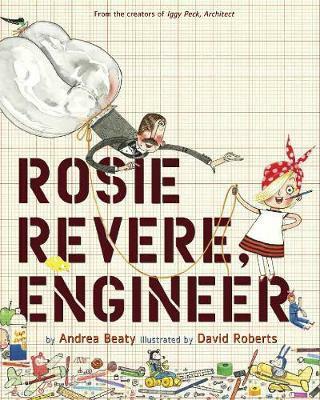 Rosie Revere Engineer by Andrea Beaty and David Roberts. How did Rosie feel when her invention didn't work? Would it matter if the plane never flew properly? Why or why not? Do you think Aunt Rose had any experience with making things? What might have happened to her in the past? What might she have learned? What is Rosie really good at? She works hard to practise her strengths. What are you really good at? What do you practise like Rosie? What is this book trying to teach us? When could we use this lesson in our own lives?